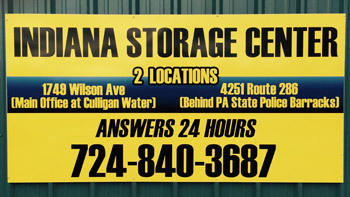 Our main location and office at 1749 Wilson Ave., is in the Culligan Water building, just up Warren Road from the Sunoco station. 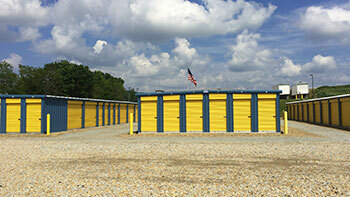 We are available after hours and weekends to accommodate your storage needs: 724-840-3687. Our newest location is at Windy Ridge: 4251 Rt. 286 South, directly behind the Pennsylvania State Police Barracks. 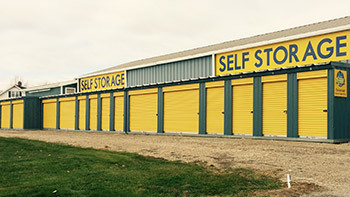 Indiana Self Storage now has two locations with 24×7 access. We welcome contractors, movers, food delivery providers, and everyday homeowners and renters who need affordable short and long term storage. For more information or to start renting, call us day or night at 724-840-3687.